FRESNO – Business Street Online is pleased to announce the members of the “40 Under 40” Class of 2015. 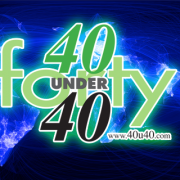 The 40 young professionals will be honored at “40 Under 40” The Ultimate Networking Event, coming up on Thursday, December 3, 2015 from 6:30 PM to 9:00 PM at the Chukchansi Park-Phoenix Club. The event recognizes some of the top young business professionals in the public and private sectors in central California. They are leaders in their communities and have achieved great success before the age of 40. They were nominated by their peers on www.40u40.com, and represent the future of the Central Valley. “The ’40 Under 40’ Class of 2015 consists of a wonderful group of young people making a difference in their central California communities,” said Lance Cardoza, president and publisher of Business Street Online.